Bed and Breakfasts near Queens Club Tennis for 1 night from Thu Apr 25, 2019 to Fri Apr 26, 2019 within 25 miles, in an Average Nightly price range of £1 to £200. Situated in the Hammersmith and Fulham district in London, The Pear Tree boasts a restaurant and free WiFi. Guests can enjoy the on-site bar. You will find a kettle in the room. Hammersmith Apollo is 800 metres from The Pear Tree, while Olympia Exhibition Centre is 1.1 km from the property. 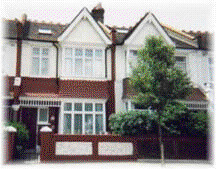 The nearest airport is London Heathrow Airport, 17 km from The Pear Tree. The Hilton London Olympia is located on London's fashionable Kensington High Street, 200 metres from the Olympia Exhibition Centre and within easy access to central London. It offers an on-site restaurant, free high speed Wi-Fi in public areas, a fitness centre and spacious air-conditioned rooms. The modern rooms at the hotel feature stylish bathrooms with granite surfaces. Rooms include a TV with satellite channels, and a large workspace. The hotel has an Executive Lounge with free breakfast and refreshments. The Executive rooms have exclusive access to the Executive Lounge. The open-plan Society Restaurant is fresh and modern and serves a menu of British cuisine. Guests can relax with a drink or small plates in the trendy Society Bar, whilst there is also an on-site coffee shop. Westfield Shopping Centre is within a 15-minute walk, Kensington Olympia overground station is a 5-minute walk and the hotel is a 1-minute walk from both Earls Court tube and High Street Kensington. There is also a well connected bus stop just outside of the property. My Place Hotel is an elegant Victorian town house situated in a tranquil Kensington street. It is just a 1-minute walk from Earl's Court Underground Station and its direct Heathrow Airport link. All comfortable rooms have en suite facilities, a fridge and a flat-screen TV. Some rooms have a separate seating area with a sofa. An inclusive continental breakfast is available each morning. My Place has its own nightclub with a large dance floor, bar and VIP area. The hotel also has a spacious lounge with an all-day bar, and an attractive walled garden with a seating area. Earls Court Exhibition centre is just a 2-minute walk from the hotel, and Kensington High Street is within walking distance. Nearby Earl's Court has many vibrant bars, restaurants and shops. The hotel also has a spacious private function room, overlooking the hotel gardens. Best Western The Boltons Hotel is located in the heart of London s fashionable Earls Court which means you will be right in amongst the attractions. From the Olympia Exhibition Centre to the Commonwealth Institute and the London Eye 20 minutes away the choice is yours! Perfectly positioned for transport links with Earls Court tube station a three minute walk away and minutes away from the West End Knightsbridge and London s vibrant nightlife our accommodation is accessible beyond belief! /p The hotel boasts 56 fully air-conditioned rooms that combine traditional Victorian elegance with contemporary style and comfort. All of the bespoke bedrooms have en suite bathrooms hairdryer flat screen televisions satellite television channels free Wi-Fi access and tea and coffee making facilities. Jumpstart your day by enjoying the delectable breakfast served at the welcoming atmosphere of the dining area. We feature free Wi-Fi throughout the hotel. NCP parking is available nearby too for added convenience in one of London s more laid-back quarters. In a quiet, tree-lined residential street, just metres from Earl's Court London Underground Station and the exhibition centre, the hotel offers comfortable en suite rooms at great-value rates. Free WiFi is available throughout the property. The Oxford Hotel has a convenient location, with banks and restaurants close by and Kensington High Street just over half a mile (800 m) away. Hyde Park, the museums of South Kensington, Earl's Court Exhibition Centre and Olympia are all within easy walking distance. Earl's Court London Underground Station is just a 2-minute walk away. The hotel has lift to all floors, a 24-hour reception desk and an air-conditioned breakfast room and public areas. Rooms at the front of the hotel face out onto the tree-lined street and rooms at the back overlook the property's own private gardens. Simply decorated, all of the en suite rooms have TVs, tea/coffee-making facilities, a safe and a hairdryer. A continental breakfast is available every day, and includes cereals, assortment of bread rolls, toast, boiled eggs, cheese, butter, jam, fruit juices, coffee and tea. With free Wi-Fi available throughout, this convenient hotel offers modern rooms just 1 minutes' walk from Earl's Court Underground Station. Guests are within 1 mile of exclusive shops and Olympia and Earl's Court Exhibition Halls. The hotel is a 20-minute walk from Chelsea Football Stadium. The City Continental London Kensington has air-conditioned rooms each with an individual private bathroom. Also featured in each well-equipped room is a TV, tea/coffee facilities and a hairdryer. The fashionable shopping areas of Knightsbridge, Kensington and Chelsea are only a few minutes' taxi journey, or a 15-minute walk. London's other sights and attractions can be easily reached via Earl's Court Underground Station. An extensive continental breakfast is served every day, featuring a number of hot and cold options. A recently refurbished and well appointed hotel conveniently located in Earls Court. Excellent transport from and to the airport mainline stations and the main tourist attractions. Within walking distance you can reach the museums of South Kensington Hyde Park and Kensington Palace. The hotel is located in a quiet tree lined street and the rooms at the back face the lush greenery of our private gardens. Fabulous accommodation combined with our excellent hotel concierge will ensure your stay is a memorable one! Best Western Burns Hotel in classy Kensington features 104 elegant bedrooms which have been fabulously furnished to the highest standard. You ll find shops aplenty and labels everywhere thanks to Knightsbridge and other local areas while a wide selection of restaurants will give you the perfect excuse to take a break within your break before hitting the shops again in the afternoon. Set within a three-minute walk from Earl s Court Station we are ideally situated for exploring all the wonders of bustling London. Back at your pied a terre in the capital all rooms have en suite bathrooms hairdryer trouser press satellite TV and tea and coffee making facilities. So you ll be at home while away from yours! To jumpstart your day enjoy the continental buffet breakfast and English breakfast cooked to order served at the cosy breakfast room. At our Ellen Terry Bar you can relax and cap off a busy day with drinks at this wood-panelled bar. For added convenience 24-hour room service and free Wi-Fi throughout the hotel are available. /p Best Western Burns Hotel overlooks a peaceful residential square close to the West End and its showstopping atmosphere while Olympia Exhibition Centres add more options to every visit here in the UK s capital. We are less than two miles from Kensington Palace and Gardens Royal Albert Hall the Victoria and Albert Museum The Science Museum and the Natural History Museum. Dreamtel London Kensington is a 2-minute walk from Earl's Court Underground Station. The rooms are equipped with a flat-screen TV, tea/coffee making facilities and an en-suite bathroom. A hairdryer and ironing facilities are also available. Complimentary WiFi is available at the lobby and wired internet access is featured in all guest rooms. Dreamtel London Kensington provides guests with a 24-hour reception and luggage room facilities. Kensington High Street is 1 km from Dreamtel London Kensington, while Kensington Palace is 1.6 km away. Royal Albert Hall and Olympia Exhibition Centre are both 1.7 km from the property. Welcome to The Londonears Hostel! The Hostel occupies a Victorian House and is conveniently located in the hart of Kensington in central London with over 400 beds (with private rooms and dorms). The Hostel is walking distance form Earls Court High St Kensington and Gloucester Road tube stations it is surrounded by many restaurants bars and small coffee shops. The Hostel is situated minutes from shopping areas such as Knightsbridge (Harrods) and Kensington High St which has a numerous of designer label outlets. The hotel is close to array of attraction such as the Science Museum Natural History Museum Royal Albert Hall and the West End Theaters. The friendly staff are always willing to help and the hostel provides all the necessary services to make you feel comfortable and enjoy a pleasant stay in London at a very reasonable price. WFI cost �3 for 24 hours . A 4-minute walk from Fulham Broadway Tube Station, La Reserve Hotel offers well-appointed rooms and a restaurant and bar. This London hotel offers luggage storage and a 24-hour front desk, and paid WiFi and parking are available. Each guest room includes a TV, radio, minibar, trouser press, telephone and tea and coffee facilities. Each has an en suite bathroom with shower or bath. A continental buffet breakfast is available every day. The hotel has a bar and lounge and offers room service. The Victoria and Albert Museum and Hyde Park are within a 30-40 minute walk of La Reserve Hotel, and the Chelsea Embankment is 20 minutes' walk away. Attractions including Big Ben and the London Eye are around 4 miles away. On site at Chelsea Football Club, Millennium & Copthorne Hotels at Chelsea Football Club is 5 minutes' walk from Fulham Broadway Underground Station. The 4-star hotel has 2 restaurants including Frankie's Sports Bar & Grill. Modern rooms have luxurious fittings and large marble bathrooms. All rooms have a flat-screen TV and WiFi access. Complimentary breakfast is offered to guests staying in the Club rooms. Frankie's Sports Bar & Grill, a family-friendly restaurant serving Modern European cuisine. 55 Bar & Lounge is the hotel's chic lounge with WiFi, wide-screen plasma screens, all-day food and an extensive cocktail list. The tube and buses provide easy access to central London. South Kensington with its shops, Natural History Museum and the Victoria and Albert Museum is a 25-minute walk away. Featuring free WiFi throughout the property, EasyHotel South Kensington offers accommodation in London, 1 km from Royal Albert Hall. Each room at this hotel is air conditioned and has a flat-screen TV. For your comfort, you will find free toiletries and a hairdryer. The hotel offers a breakfast box which includes orange juice, a seed and fruit portion, breakfast biscuits, a yoghurt and a muffin. You will find a 24-hour front desk at the property. Olympia Exhibition Centre is 1.4 km from EasyHotel South Kensington, while Stamford Bridge is 1.5 km away. London City Airport is 17 km from the property.